Four juveniles were arrested by Elk Grove Police after they allegedly tried to burglarize a house. Shortly after 6 p.m. on Monday, June 12, police officers responded to the 10100 block of Brocklin Way regarding two individuals tried to break into a residence. Upon arrival, police observed a vehicle driving away and initiated an enforcement stop. The driver of the vehicle, a 17-year old Elk Grove male was found to be on probation and a witness positively identified him as one of the people trying to gain entry to the residence. That suspect and two other juveniles, one male and one female, were taken into custody and transported to juvenile hall. 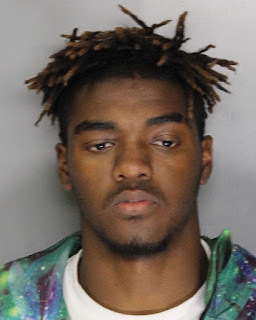 Jakari Daveyon Jenkins, 18, of Elk Grove, was also identified as one of the suspects witnessed trying to gain entry, was arrested and booked into the county jail. Jenkins is being held on $50,000 bail for two felony charges and will be arraigned on Wednesday, June 14.